Experimenting with gluten free, and sometimes dairy free, cooking. I love my family. I pray every day that the Lord will show me how to be a blessing to them. That can mean anything from playing a game with one of the kids when he’s down or going for a walk or just laughing at their corney jokes. On days like Valentine’s day, it usually means making them a nice dinner and trying to make something that each of them likes. Usually chocolate is the dessert of choice for Valentine’s day, but today I went for gluten free poundcake. Well, first of all, I was making a big dinner and we had to eat early so we could go to our nursing home ministry, so making two separate desserts (gluten free and non gluten free) was not in the plans, not even possible. 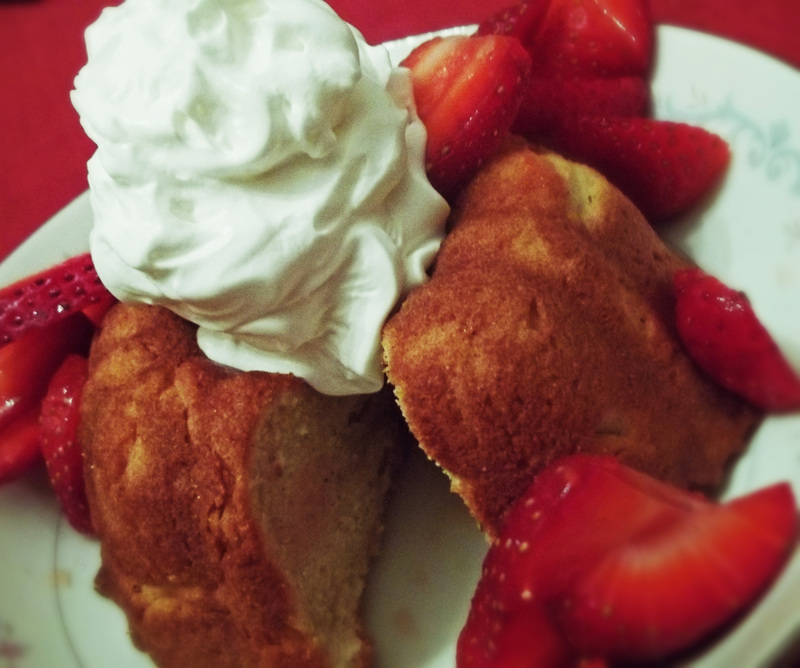 My son Luke doesn’t like chocolate, so I came up with poundcake and strawberries. Strawberries are a winning choice in our family on any given day. This cake turned out to be a winner too. It has that nice, cakey-dense-but-not-too-dry texture. Just a little sweetness, but not too sweet. I hope you like it. As a side note, you can make this in a loaf pan instead of in individual Bundt pans and it will be just as good. I put the directions at the bottom of the recipe. Enjoy! Preheat oven to 350º. Grease 6 mini Bundt pans. In a large mixing bowl, cream the butter until light and fluffy. Slowly add the sugar into the butter while mixing, scraping the bowl while mixing. Add in the eggs, one at a time while beating. Add vanilla and soymilk and beat until thoroughly combined. In a small mixing bowl, combine the remaining ingredients. Slowly add dry ingredients to the butter mixture. Mix until well combined. Scoop a generous ½ cup of mixture into each Bundt pan. With wet fingers, smooth batter. Bake in preheated oven for about 30 minutes, until golden brown and a toothpick inserted comes out clean. Cool on baking rack. Serves 6. 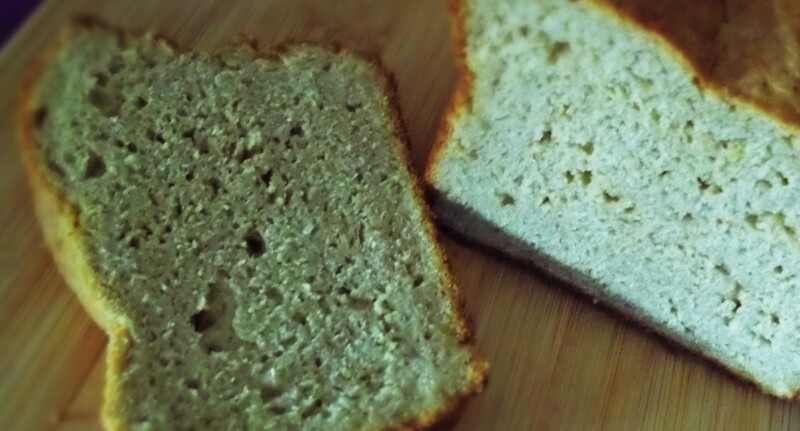 This entry was posted in Dairy Free, Gluten Free Baking, Gluten Free Bread, Gluten Free Cooking, Gluten Free Food, Searching For Gluten Free. Bookmark the permalink.